Imprint Dimensions: 3.5" x 2.75". 4CP imprint on white surface of magnet material. Stock pad as shown. 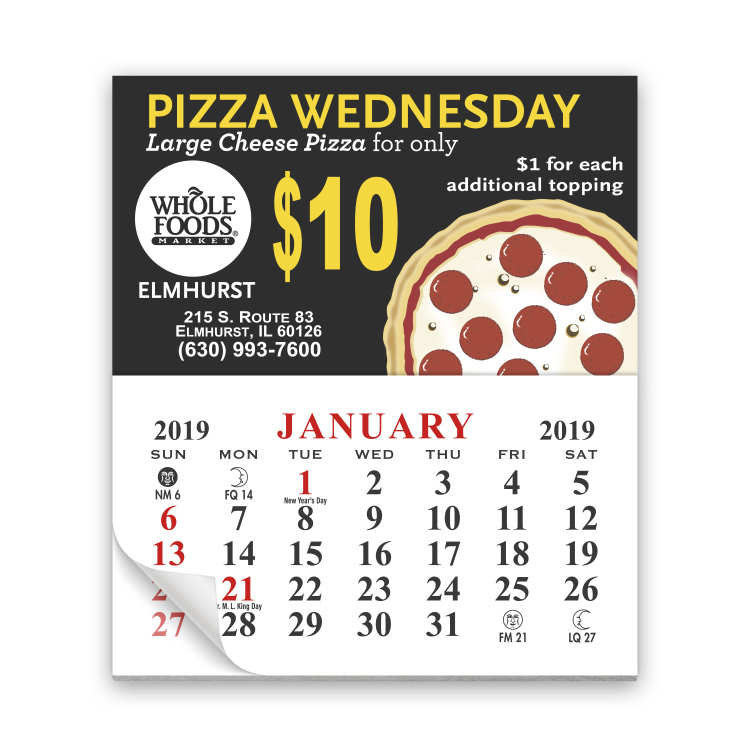 Calendar pad orders prior to June 1 will have the current calendar year; orders after June 1 will have the following year's calendar. Spot color/pms match please call for quote.